Hassle-free, reliable and ultra-low cost printing is made possible with this 4-in-1 model. 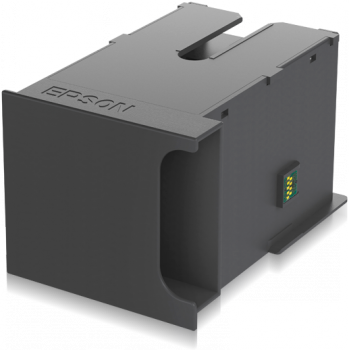 Its high-capacity ink tank delivers an incredibly low cost per page, and refills are few and far between. Its Wi-Fi and Ethernet capabilities provide the flexibility to create a set-up that works for your office. 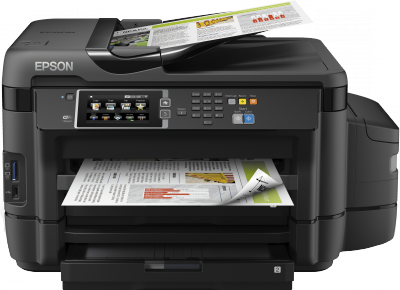 It also boasts A4 and A3 double-sided printing, high-quality scans and high-capacity copying. Saving up to 90%1 on printing costs, the L1455 can print up to 10,500 pages2 from the initial two sets of genuine inks included in the box. With no effort, you can halve your paper usage with double-sided A3 and A4 printing. It is fast too, producing A4 pages at 18ppm3. Its multi-copy feature also allows you to make up to 99 copies of a page in one go. There’s no need to be deskbound; printing from smartphones and tablets is simple with Wi-Fi connectivity and Epson Connect4. It’s easy to work smarter too, with the 30-page automatic document feeder (ADF). And with the 1,200 dpi scanner, you can be sure it will deliver great quality scans every time. Our ink tank system has been purpose-built to work with our genuine inks to offer a dependable solution for your office. It delivers quick drying, smudge free and consistent results, by utilising Epson's Micro Piezo technology and Epson genuine dye ink for colour, and pigment ink for black. It also boasts a one-year or 80,000 page manufacturer's warranty for added peace of mind.